Our team of highly skilled and motivated personnel have gained in-depth experience in providing multitude of services, consisting of Statutory Audits, Stock Audits, Internal Audits, Vat Audit, tax planning etc. CMA stands for Credit Monitoring Arrangement report wherein the past and projected financial performance of a business is compiled in a certain format with all the required financial metrics and ratios to help Bankers and Financial Analysts ascertain the financial health of a business. Most Bankers request a business loan applicant to prepare CMA report to understand the flow and application of funds in a business. 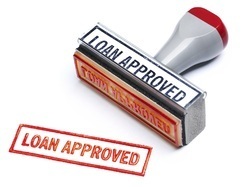 A professionally prepared CMA report can improve the chances of obtaining bank loan. One of the most rigorous & significant service of professional is issuance of certificates to its client required for various purposes under different relevant rules & regulation. Broadly, following types of certificates are being needed by the business houses based upon their constitution/ the privileges being be pleased by them under the law, financial arrangement with the financial institution, benefit & deductions to be claimed under statue and periodical compliance of relevant rules & regulation. Certificates on the support of financial books of accounts and annual financial statements. Certificates on the grounds of statutory records being maintained under Indian Companies Act, 2013 and other applicable laws. Certification of Fare Values of Shares of Company for the scope of merger/de-merger, Buy Back, Allotment of further shares and transfer of shares from resident to nonresident. Certificates for foreign remittance to be made by resident in India to foreign entity outside India u/s 195 of the Income Tax Act, 1961. Net worth Certificates needed for the purpose of Bank finances, furnishing of Bank guarantee and issuance of Visa by Embassy. Certification of arms length price u/ 92 of the income Tax Act, 1961. Utilization certificates of various grants being discharge by Govt. of India to NGO's, Statutory Bodies, Autonomous Bodies, and charitable organizations. Certificates for claiming various deductions & exemption under various rules & regulation. Certification under the Indirect Taxes. e-Tendering, e-Procurement, e-Bidding, e-Commerce, e-Ticketing, ONGC, GAIL, IFFCO, Railways, AIR India, Northern Railway, Southern Railway, Travel Agents, Railway Agents, Online Vendor Registration, Government Officials, Municipal Authorities, Army Chiefs, Government Chief Secretaries, Army Engineers, Army Zonal Head / Chief, etc. Class 2 Digital Signature Certificates are essential to obtain for the several transactions for Ministry of Corporate Affairs (MCA) or Registrar of Companies (ROC), Income Tax e-filing, TDS Form Signing, TDS Return Filing, Vat Return Filing, Service Tax Return Filing, Food and Drug Licence, Medical Licence, Clinic Licence, MPOnline Portal, EPFO Portal, sign a word, excel, PDF file or e-mail in India. EPF is one of the main platform of savings in India for nearly all people working in Government, Private or Public sector organizations. It is implemented by the Employees Provident Fund Organization (EPFO) of India. Employees Provident is done via Natasha & co.
LLP refers to Limited liability partnership and is governed by Limited Liability Partnership Act 2008. Limited Liability partnership provides advantage of limited liability to its owners and at the same time requires minimal maintenance. 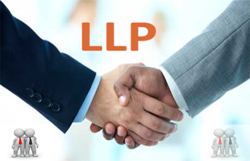 The directors of a private limited company have limited liability to creditors. In case of default, banks / creditors can only sell company’s assets and not personal assets of directors. 1. Application of DSC & DPIN: Our very first step in this direction would be getting Digital Signature Certificate (DSC) and Designated Partner Identification Number (DPIN) for the proposed Partners of the LLP. Within a timeframe of 5 to 7 working days DPIN and DSC can be obtained for the proposed Partners. If the partners already have DSC and DPIN, then this step can be skipped. 3. MOA & AOA submission: Once name is approved, one needs to draft Memorandum of association and Articles of Associate. Both MOA and AOA are filed with the MCA with the subscription statement. 4. Get incorporation certificate: Incorporation documents can be submitted to the MCA along with an application for incorporation. MCA will usually approve the application for incorporation in 5 to 7 days, subject to their processing time. Incorporation certification is a proof that company has been creation. It also includes your CIN number. 5. Apply for PAN, TAN and Bank account:Then you need to apply for PANand TAN. PAN and TAN are received in 7 working days. Post this, you can submit the Incorporation certificate, MOA, AOA and PAN with bank to open your bank account. Works Department (PWD) provides Centralized Registration System, so contractor have to get a contractor registration certificate from MP PWD and he can work at all department in M.P. 1. One Single Category Registration for all Contractor, in place of - A, B, C Category classification. 2. DO NOT have to pay any Security Deposit FDR or Bank Guarantee of Rs. 2 Lakh, 5 Lakh or 10 Lakh. 3. All Contractor have to pay Rs. 25,000 /- NONE REFUNDABLE Registration Fees after contractor application approval. Who Can Apply for MP PWD Contractor Registration? Liability of Members and Directors of the Nidhi Company is limited. It means that if the company suffers from any loss and faces financial distress because of primary business activity, the personal assets of Members / Directors will not be at risk of being seized by banks, creditors, and government. A Nidhi company enjoys better credibility when compared to any other members based Organizations like trust, cooperative society or any other form of NGO. Nidhi companies are registered and monitored by the Ministry of corporate affairs. A director of a Nidhi company can be easily added or removed by filing simple forms with the Registrar of Companies. The Board of Management of a Nidhi company controls the activities of the Nidhi Company. Propose directors of the Nidhi Company should have a digital signature and digital signature will use to file the registration, ROC compliance forms, and Tax returns. DIN is mandatory to form a company, when a Digital signature is approved, and you will get an approval email from the Registrar of companies that you are now eligible to be a director of a company. After a Trademark search, we will proceed to file a Name Approval form to ROC on your behalf. It takes 2 to 3 working days to get approval from the Registrar of Companies. After Name approval from the Registrar of Companies, we will file a final incorporation form with all supporting documents like registering address proof, Declaration from directors. Minimum requirement at time of registrationFrom All Directors and Shareholder. Professional Tax Registration GST No. An income tax return is a form where taxpayers declare their taxable income, deductions, and tax payments. This procedure of filing income tax returns is referred to as income tax filing. While filing, the total income tax you owe to the government is also calculated. If you've paid more tax than needed for the financial year, the IT Department will refund the extra money to your account. If you have underpaid taxes for the year, please pay the remaining amount, and then file your income tax returns. 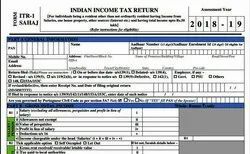 Income tax return form ranges from ITR 1 to ITR 7, used for different types of income. Some forms are longer than the others, and they may need additional disclosures such as balance sheet and a profit and loss statement information. The word concurrent itself defines its meaning, concurrent means happening at the time. Concurrent Audit means doing the examination of the financial transactions at the time of happening or parallel with the transaction. 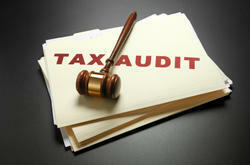 It is an audit which is prescribed by the different statute like Reserve Bank of India, Income Tax, Companies Act, etc. 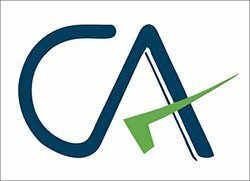 A Chartered Accountant need to conduct many audits as per the different statute requirement. Audit of banks is mandatory. 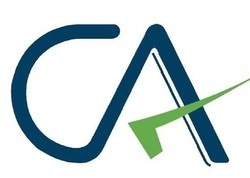 Auditors are appointed by RBI in association with the ICAI. Every year after the end of the previous financial year, in every branch of the banks, a very rigorous audit is conducted. Service Provider CA Natasha & Co.
Project insurance should cover ‘All risks’ of loss or damage to the permanent and temporary works comprising the contract, including the materials, and all things used for or intended for incorporation within the contract, throughout various phases of the construction / erection, including testing. The policy should include cover for Design Defect. This will cover the cost of consequences of the damage, but will exclude the defective part itself and any design improvement cost. There should be automatic reinstatement of cover. 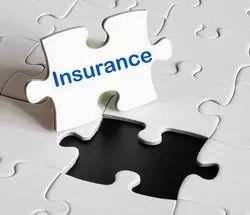 The policy also contains other extensions (some are sub-limited) vis-à-vis 50/50 clause, a 72 hour clause, extensions of time held covered at terms to be agreed, debris removal, professional fees, plans and specifications, public authorities and expediting expenses. Terrorism is a standard exclusion, the project should be specifically covered for terrorism and this is available in the Indian as well as International market. Willful act or gross negligence etc. Step No.5:Certificate is Granted ! Tax Deducted at Source (TDS) is one of the ways to collect tax based on certain percentages on the amount payable by the receiver on goods/services. The collected tax is a revenue for the government. 2. Who could be liable to deduct TDS under GST law? Such persons or category of persons as may be notified by the Government. An authority or a board or any other body which has been set up by Parliament or a State Legislature or by a government, with 51% equity ( control) owned by the government. 3. When will the liability to deduct TDS be attracted? What is the rate of TDS? TDS is to be deducted at the rate of 2 percent on payments made to the supplier of taxable goods and/or services, where the total value of such supply, under an individual contract, exceeds two lakh fifty thousand rupees. No deduction of Tax is required when the location of supplier and place of supply is different from the State of the registration of the recipient. 4. What are the registration requirements for TDS deductors? A person who is liable to deduct TDS has to compulsorily register and there is no threshold limit for this. The registration under GST can be obtained without PAN and by using the existing Tax Deduction and Collection Account Number (TAN) issued under the Income Tax Act. Thus it can be said having TAN is mandatory. 5. When and to whom should the TDS be paid? 6. What are the provisions relating to the issue of TDS certificates under the GST law? 7. How will the Value of supply on which TDS shall be deducted be considered? For purpose of deduction of TDS, the value of supply is to be taken as the amount excluding the tax indicated on the invoice. 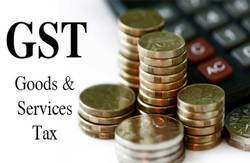 This means TDS shall not be deducted on the CGST, SGST or IGST component of invoice. For Example Supplier A makes a supply worth Rs. 5000 to B. The rate of GST is 18%. When B pays A, He/She will pay Rs. 5000 (worth of Supply) + Rs 900 (GST) to A and Rs. 100 (RS. 5000*2%) as TDS to the government. So it can be said that TDS is not deducted on the tax element (GST) of a transaction. We specialize in providing Income tax services to individuals, small scale, medium scale and large scale businesses which are highly effective and efficient. We provide Time-bound and quality services to our clients. Our span of Income Tax services covers all aspects of Indian Income Tax Laws. Our services help our clients to operate efficiently and meet out their tax liability. 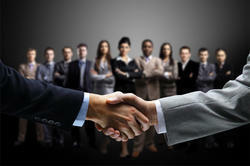 We have a team of Qualified Legal Experts who have look after several legal cases in past. 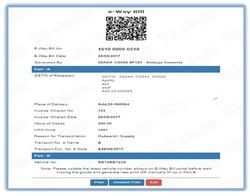 Therefore, e-Way Bills must be generated on the common portal for all these types of movements. A society may be defined as a company or an association of persons united together by mutual consent to deliberate, determine and act jointly for same common purpose. Minimum seven persons, eligible to enter into a contract, can form society. 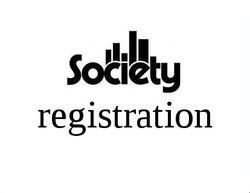 When an NGO is constituted as a society, it is required to be registered under the Societies Registration Act, 1860. The chief advantage of forming a society are that it gives a corporate appearance to the organization, and provides greater flexibility as it is easier to amend the memorandum and bye laws of the society than in case of trust, terms of which are strictly manifested in the trust deed. However, formation of a society requires more procedural formalities than in case of a trust. An individual carrying on business and his/her total sales, turnover or gross receipts (as the case may be) for the financial year exceeds 1 crore. As per ICAI guideline- turnover is the aggregate value for which sales occured or services are rendered. It also includes all applicable taxes on such goods or services. Any person carrying on a business where the profits and gains from the business are determined on a presumptive basis under section 44AD and who has claimed such income to be lower than the profits or gains of their business, yet exceeds the maximum amount which is not chargeable as income tax. The Ministry of Corporate Affairs has Re-introduced the Concept of Commencementof Business Certificate. In Pursuant to Section 10A (1) (a) of the Companies Act, 2013 and Rule 23A of theCompanies (Incorporation) Rules, 2014. Company registered on or after 02November 2018 are required to file Declaration for Commencement of Business withRegistrar of Companies. Every Company is required to file Form.INC-20A with ROC( Registrar of Companies)within 180 days of its Incorporation of Company Stating that the Subscribers toMemorandum of Company has paid the Value of Share so agreed by them along withVerification of Registered Office Address of the Company.  For Every Officer in Default Rs.1000 per day but maximum up to 1, 00,000.  A company cannot start its business.  A company cannot Borrow Money.  Company will be closed by the Registrar of Companies.  Department will remove of name of the company from the Registrar ofCompanies. 3. Cost for Filing: For Declaration for Commencement of Business we charge 2000which include the government fees and our professional fees. 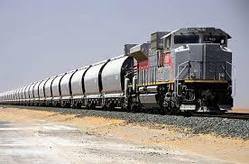 We provide Consultancy for Indian Railways for procurement of Goods, Works & Services, Sale of Materials, and Leasing of Assets through the process of E-Tendering, E-Auction or Reverse Auction.